Yes, you read that right. I am going to try and grow a tree. And I am going to show you how. This post will explain the first step and each step will be posted as it happens with my tree. I eat a lot of avo's - I love them. My favourite is on thick toasted wholegrain bread with vegemite and a sprinkle of salt. I also love them in salads, on provitas, with tuna mayo or on a pizza with feta. As I write this I am getting hungry. So - how do you grow an avo tree? First - get an avo and eat it. Keep the pit and wash under cool water, wiping away an residue with your fingers and dry with a towel. Next - you will need 3 or 4 toothpicks. Make sure the avo's pointy side is facing upwards. Stick them into the avo, evenly spaced. The avo pit is quite soft if its fresh so you shouldn't have any trouble. Then, fill a bowl with water and place the avo in the bowl. 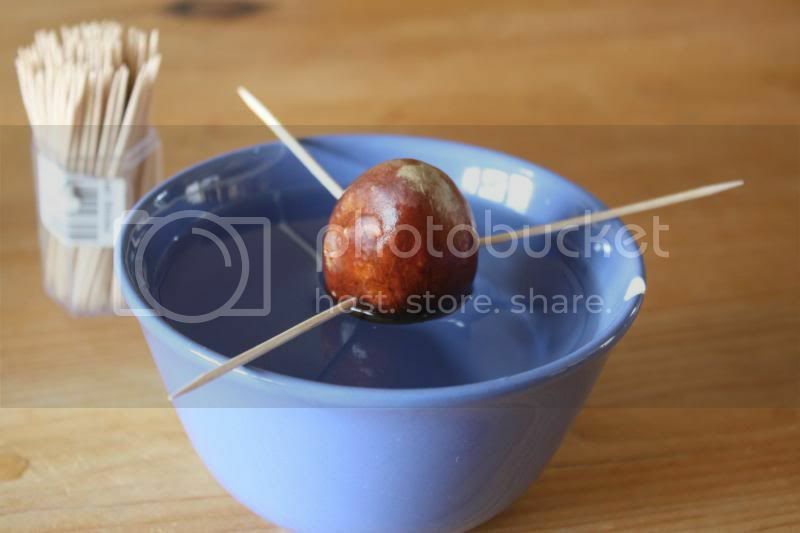 The toothpicks will balance the avo on the top with the bottom half submerged. If you are struggling to balance it, just take the toothpicks out and insert them at more of an angle. Reminder - the pointed end should be facing up and the rounded end in the water. Keep an eye on the water level and top it up if its getting low. 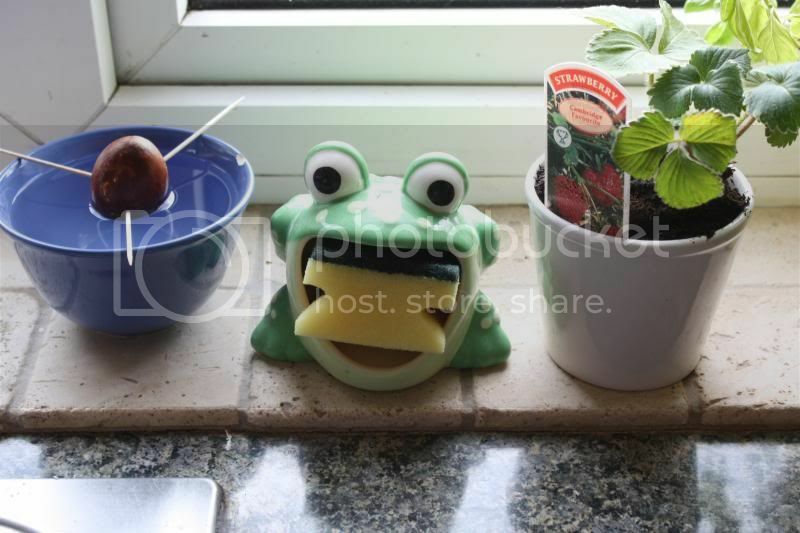 Keep in a warm, sunny place near a window or a well lit area and let the growing process begin. Change the water every few days to avoid mold or bacteria. Always make sure that the bottom half of the avo is submerged. Once my avo put begins to crack and a root shows - I will post step two. Probably in 3-4 weeks. Until then - Happy growing! Oh I would LOVE to have an avocado tree! I eat avocados like nobody's business. I can't wait to see how this turns out... I may need to try it! These grow like weeds here in Puerto Rico! We have a tree that is about 4 feet tall now that was planted last year, and another one that we seeded about 2 months ago that has really taken off too!! Our climate is perfect for growing fruits and vegetables, but I just can't get my tomatoes to grow at all. I have no idea what we are doing wrong, I should probably pay closer attention to the soil!